a dedicated mobile platform for all of their membership management needs. 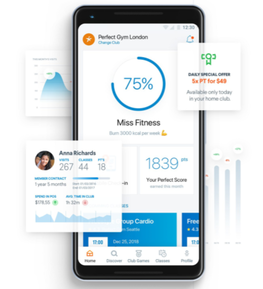 As more consumers turn to digital solutions for their well-being, Perfect Gym Go enables fitness facilities to provide their clients with a dedicated mobile platform for all of their membership management needs. Why should you download this Whitepaper? © 2017 Perfect Gym Solutions — Scheduling, point of sale, marketing, reports and so much more — designed to run your business perfectly.